Ayia Anargyri is one of the island's biggest beaches and is on the southern side of the island. 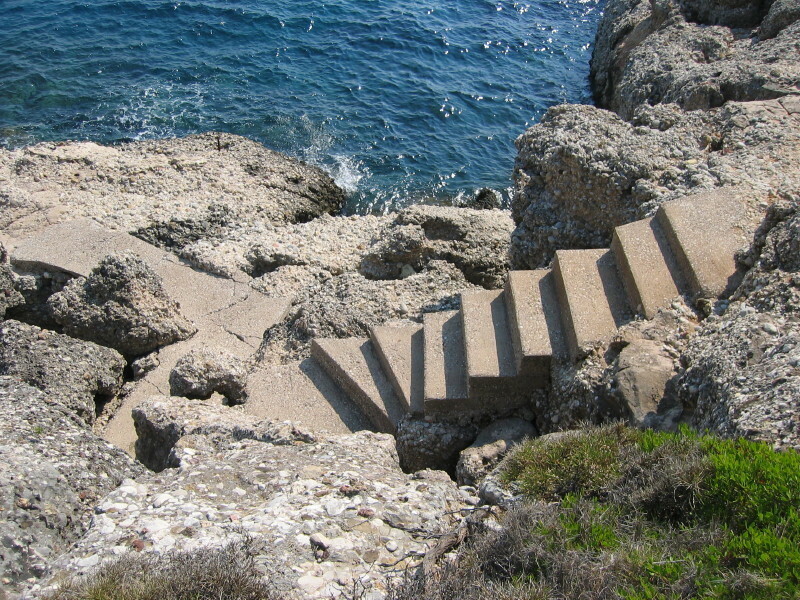 It has a mixture of sand, shingle and pebbles and beach beds and umbrellas stretch from one end to the other. 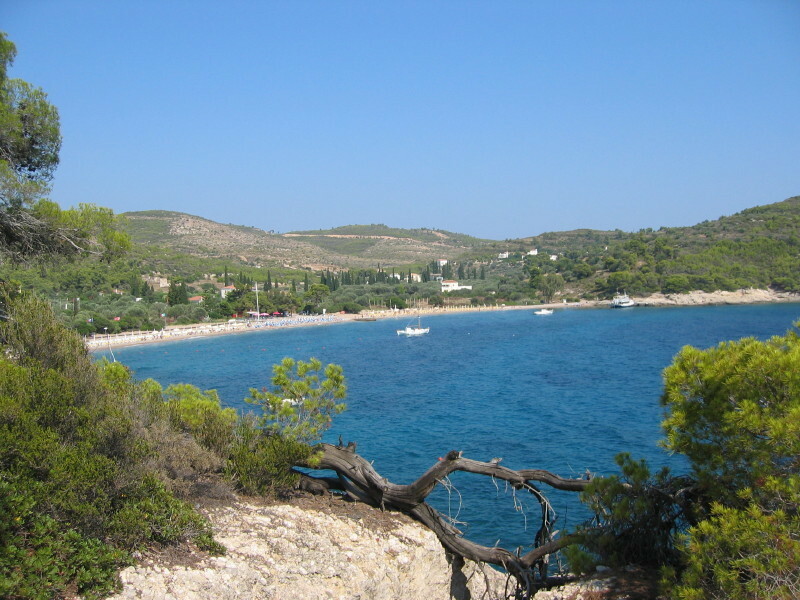 There is one big open-air taverna on the beach front called 'Manolis' and they also have a beach bar too. 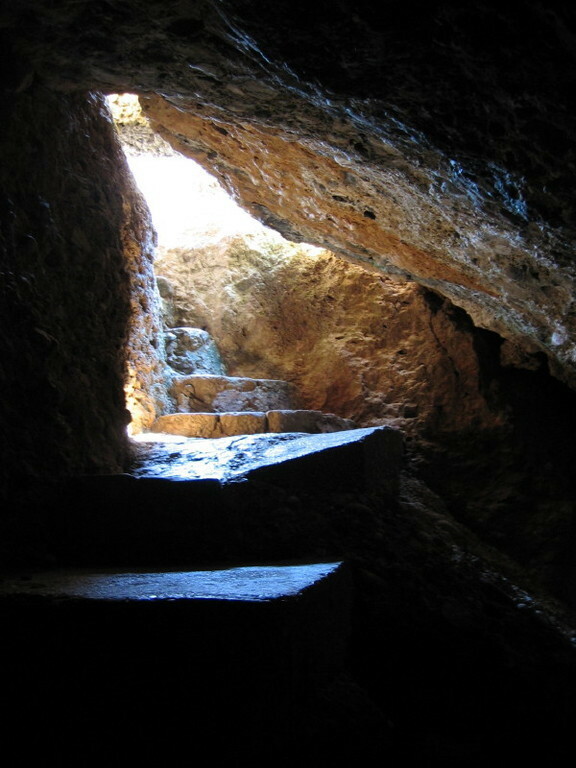 These are open all day in the summer season and in the evenings, when the island is busiest. There are watersports on the west end of the beach (walking to the right, when facing the sea). They offer water skiing, windsurfing, rocket and banana rides and pedaloes. Motor boats can also be rented from here, offering a different way to visit the island's other beaches. 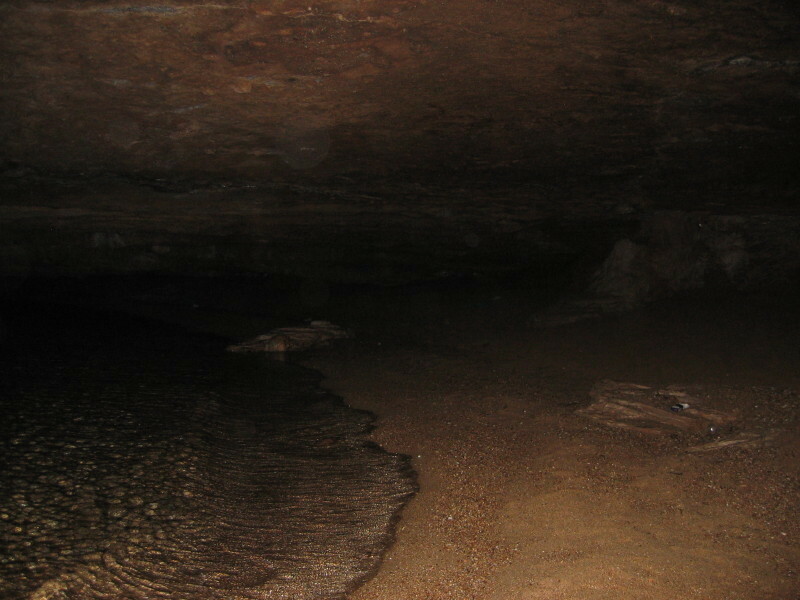 Beyond the west end of the beach, where the watersports are located, is Berkiris's Cave. 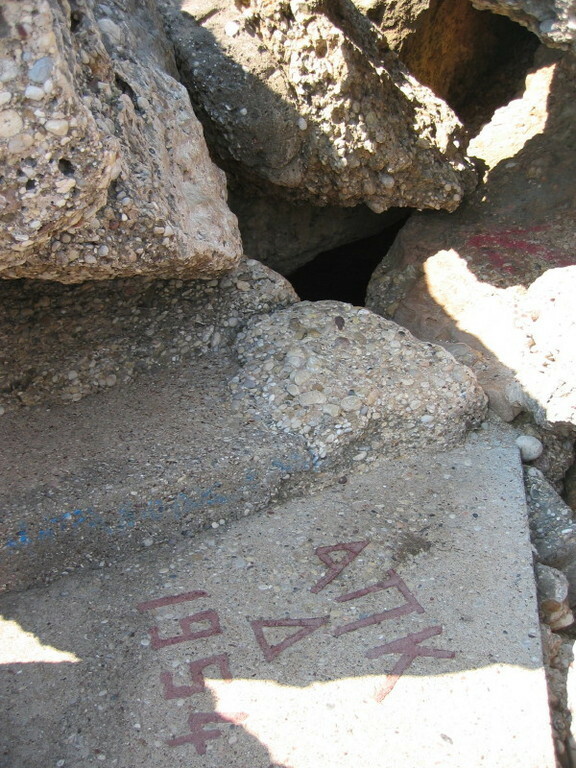 A path runs up and along the cliff top and there are tiny steps down to the cave (indicated by a red arrow painted on the rocks). 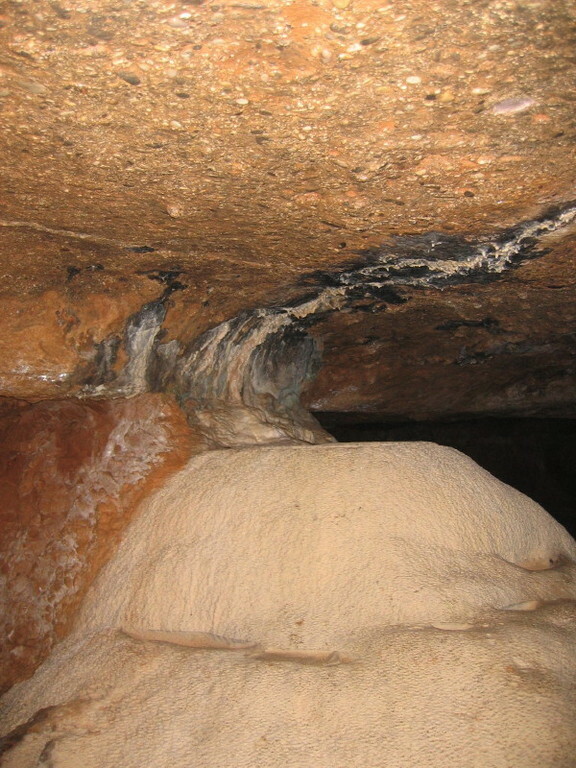 There is a narrow fissure in the rocks and getting down is a tight squeeze. 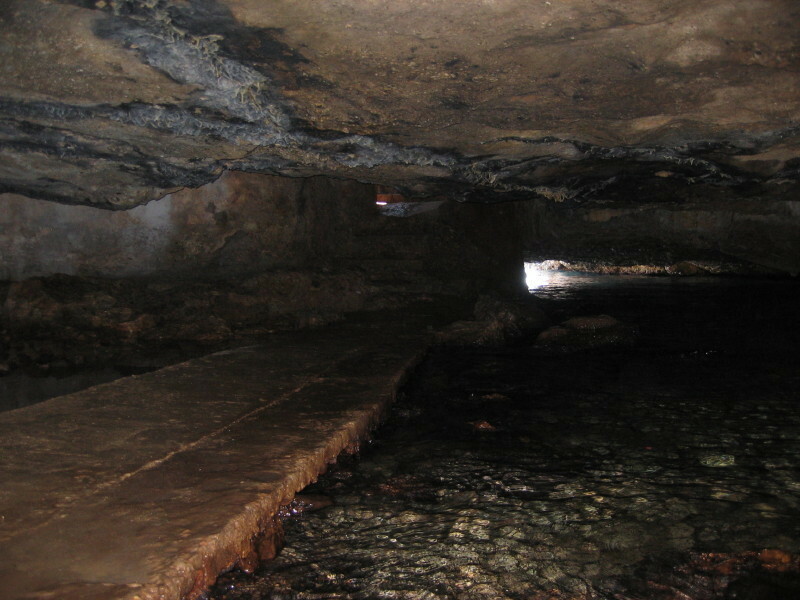 Once inside, there is a small causeway leading to the inner depths of the cave (care should be taken, as it is fairly slippery). 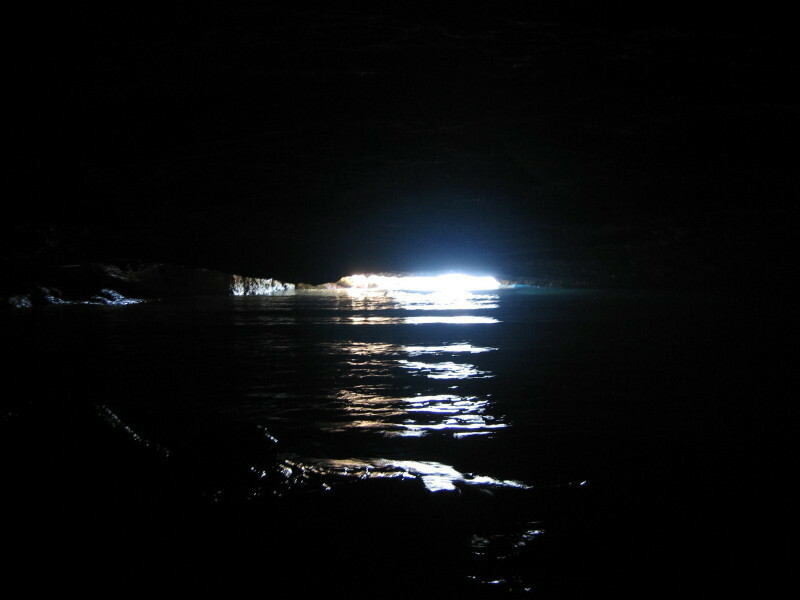 The only light is provided from the sea entrance, where the rocks almost touch the surface of the sea. 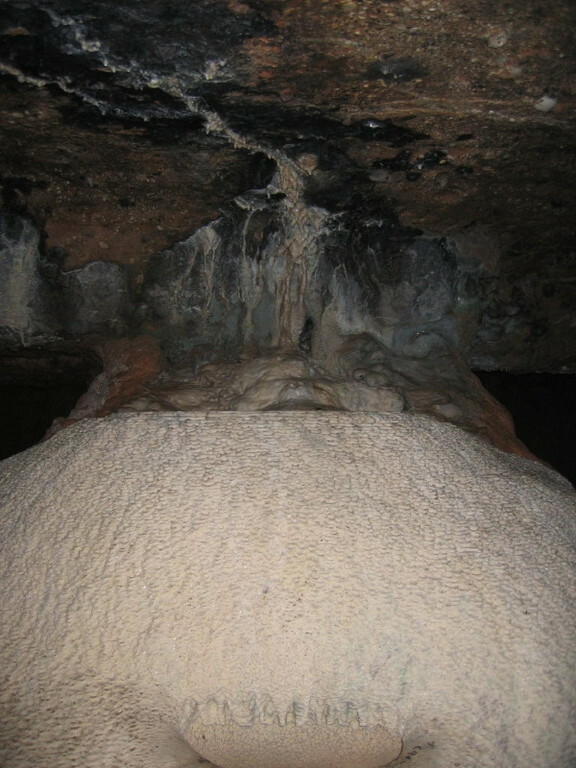 Once eyes are adjusted to the light, it is possible to navigate to the back of the cave, where it has a sandy floor and water drips from a stalactite into a natural bowl, formed over a number of years. 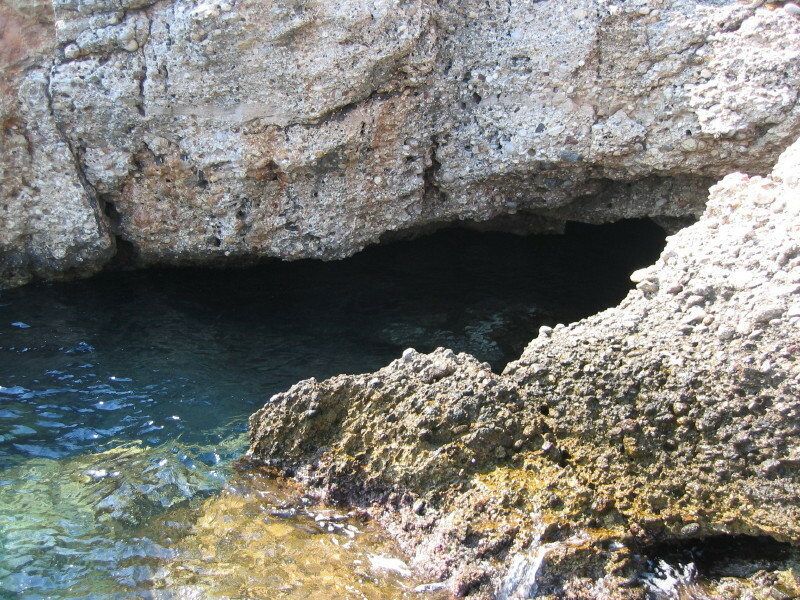 In the last century, this was a safe hiding place for pirates who were raiding Spetses. 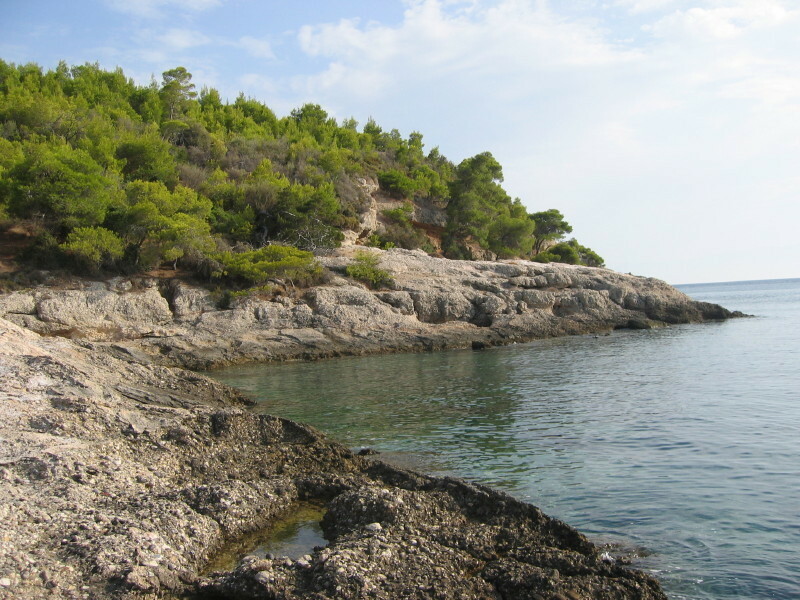 Not only did local Spetsiots seek refuge here, when the Muslim Albanians raided the island in 1770, but it was also a refuge for a wounded British pilot in WW2. The surrounding area of Ayia Anargyri has changed slowly in recent years, with a few holiday homes being built around the original shepherd dwellings and two small churches. 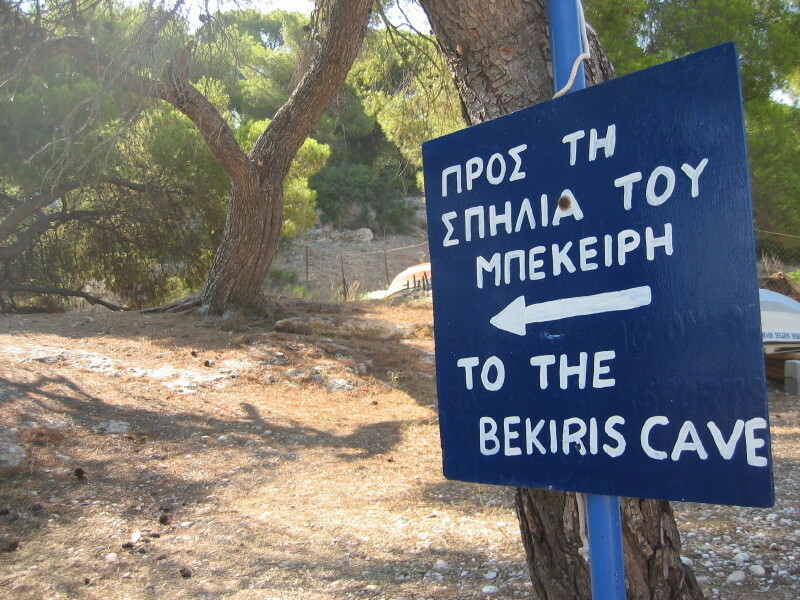 Getting to Ayia Anargyri: Caique boat from the Dapia; bus from Ayios Mamas; moped; bicycle; water taxi or on foot around the island or over the top and down. Churches & their Saints: 2 churches - one on the hill above the taverna and one beside the taverna. Both dedicated to Cosmas and Damian, known as 'Anargyroi', the penniless saints.